I never say no to a cooked breakfast. Actually, if you take a look at my instagram, if you take away the pictures of dogs and cake, it’s pretty much just poached eggs and muesli. I seriously cannot get enough of avocado on toast. Pancakes? Hngg. Porridge on a chilly morning is possibly one of the best things in the world. Fresh baked bread, cut thick, with peanut butter on top. OM NOM NOM NOM. This post is quickly degenerating into me just listing foods. So the other morning when I woke up craving fresh bread, but couldn’t be bothered to wait, I decided on breakfast muffins instead. These babies are delicious when hot, and they’re not too sweet, so you can get away with having them for breakfast. The peanut butter gives them a depth of flavour that makes them a little bit more grown up; combine this with the dried cranberries, which are naturally tart, and walnuts, you’ve got yourself a glorious little breakfast treat. Not only are they delicious, they’re speedy. You can whip them up in under half an hour – you’ve got time to make a cuppa and have a shower while they’re in the oven. Morning = made! Preheat oven to 180°C and line a 12 cup muffin tin. Whisk together the butter, sugar and honey. Add in the eggs and vanilla. Make sure you scrape down the sides of the bowl well, the honey has a habit of sticking to the sides. Add in one cup of the flour and mix well. Add in the second, followed by the bicarb and mix. Mix in the yoghurt and peanut butter, then pour in the almond milk. Fold in the walnuts and cranberries. 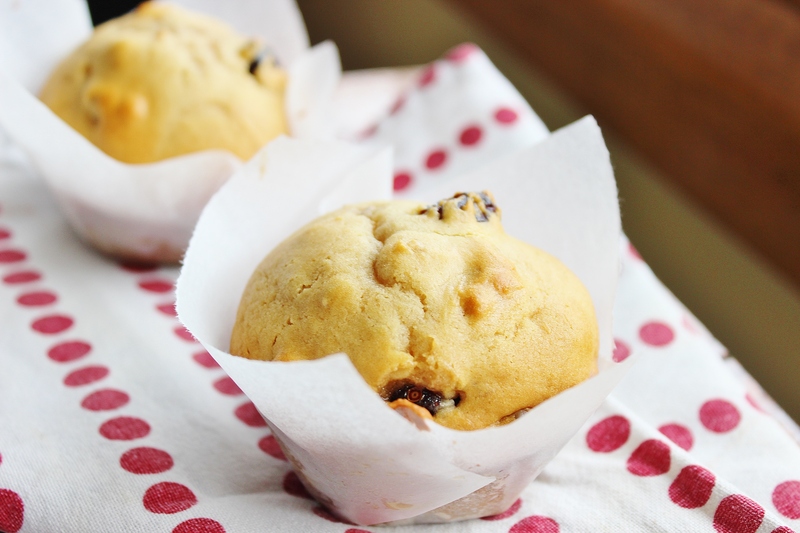 Scoop generous tablespoons of mixture into your muffin tin and pop them in the oven for 18-20 minutes. 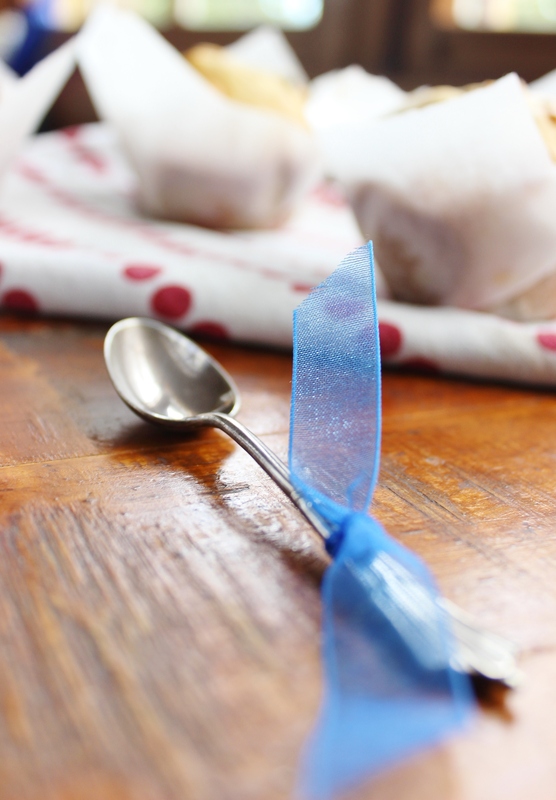 If you want to make baking paper liners like I have, grab a ruler and draw up 5 inch squares, then cut them out. 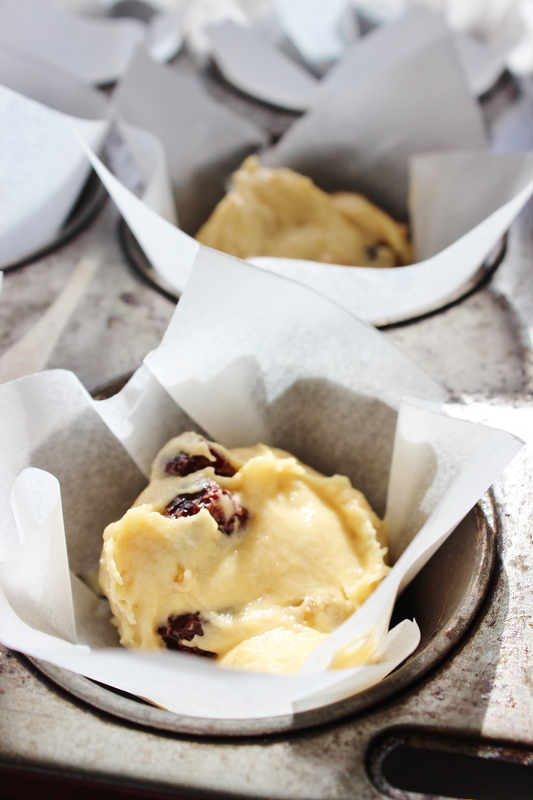 Spread a small amount of butter on the base of the muffin tin to give the baking paper something to adhere to. Place the square evenly over the top of the muffin tin, then press the centre down and smooth the sides out. It’s pretty simple, but may take a couple of tries to get it right. Fill each liner once you’ve pressed it down into the muffin tin. I love a good cooked breakfast too – especially poached eggs on avo toast! I rarely have home-made baked goods for breakfast but after seeing this post I definitely am inspired to change that. 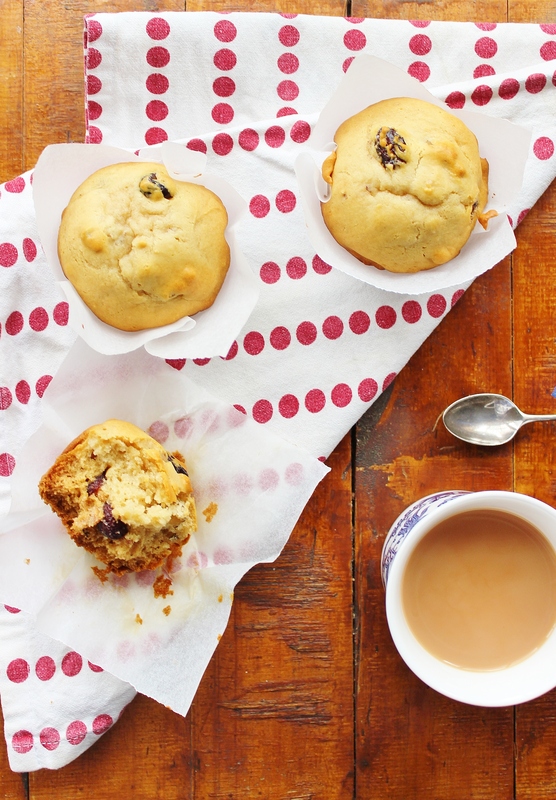 These muffins look VERY delicious! Great minds think alike! 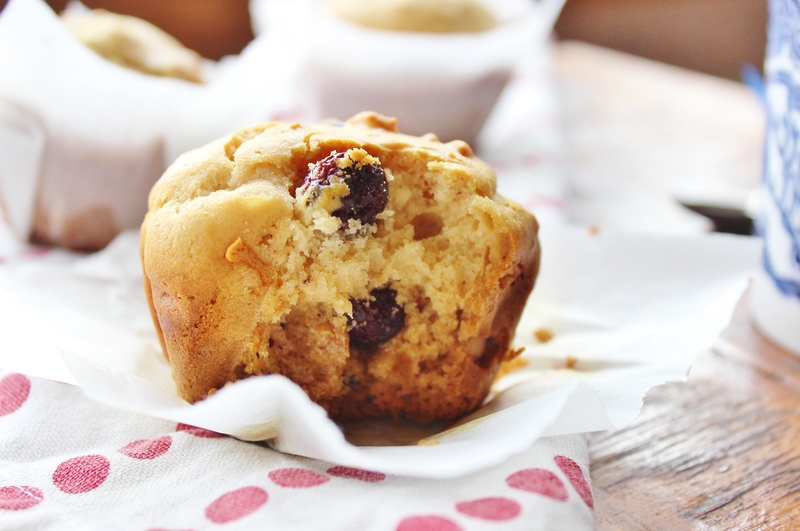 I just posted a cranberry muffin recipe too! Haha! Yours look amazing……yummmmm…..
Ohhh these look so good! This also reminds me that I still have some dried cranberries lying around which I should definitely use in a baked goodie soon!